The Auschwitz Institute recognizes July 11th, 2015, two decades after the day in which Bosnian Serb forces entered a UN-demarcated “safe haven” and rounded up thousands of Muslim boys and men. The captives were systematically executed over the following days and their bodies unceremoniously placed into mass graves. 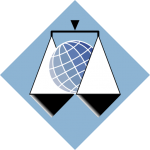 The International Criminal Tribunal for the former Yugoslavia (ICTY), is the primary international-level court tasked with prosecuting individuals for the grave violations that occurred during the Yugoslav Wars. Since its inception in 1993, the ICTY has charged over 160 individuals for their role in the serious atrocities that took place. Amidst the numerous memorial activities held over the previous week, the United Kingdom circulated a draft resolution in the United Nations Security Council that marks the 20th anniversary of the atrocities committed and “condemns in the strongest terms the genocide in Srebrenica.” While Russian representatives to the Security Council have vetoed the proposal, the otherwise broad support of the international community behind the motion has highlighted a positive trend towards universal recognition. On Friday, July 10, 2015, AIPR Board of Directors member Owen Pell participated in in a panel discussion organized by the Bosnian Herzegovinian Islamic Center New York entitled “20 Years Ago and 20 Years Ahead”. The event was held at the United Nations Building in New York and covered topics including justice, war, genocide and the path ahead for the victims of genocide. AIPR joins with the prevention community in honoring the 20th anniversary of the Srebrenica genocide and using the lessons learned to help build a world that prevents future mass atrocities before they occur.